Allahabad High Court has quashed the resolution of Banaras Hindu University terminating the contract of Magsaysay award winner Prof. Sandeep Pandey as Visiting Professor alleging activities against National Interest. Allowing the Petition preferred by him, a Division Bench comprising of Justices Mahesh Chandra Tripathi and V.K. Shukla said that the decision by the University to terminate his contract is not a termination simplicitor, but rather a punitive order and such an order cannot be issued ex-parte without conducting proper enquiry in the matter, as was done in his case. In a recent decision in State of U.P vs. NHRC, the Allahabad High Court has held that the State is duty bound to comply with the orders of Human Right Commissions, in the absence of it being set aside. This significant observation was made by Division Bench headed by the Chief Justice of Allahabad High Court Dr. Dhananjaya Yeshwant Chandrachud on a petition by the State Government challenging the direction to it by NHRC to submit a compliance report along with a proof of payment of the compensation to next-of-kin of the deceased prisoner Omendra. The Prisoner who was an under trial had died while in prison due to some chronic disease. 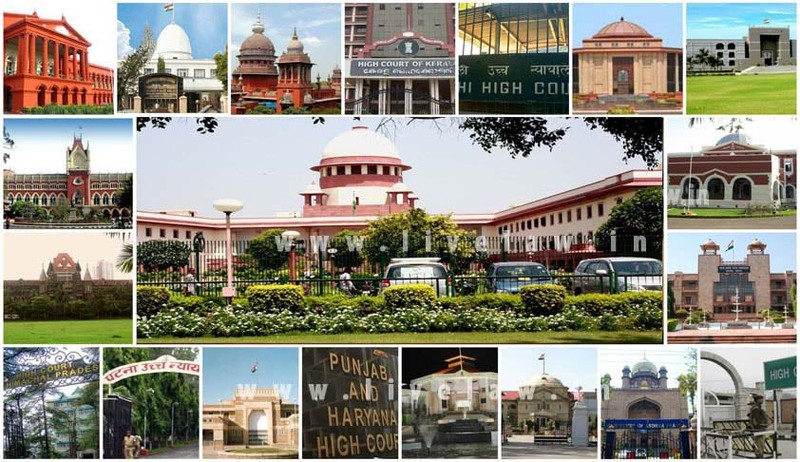 The Allahabad High Court lambasted a Lawyer, who had filed a PIL against sesquicentennial celebrations which was dismissed by the Court, for again filing PIL raising frivolous allegations against the conduct of the program. Allahabad High Court has upheld the validity of 2013 amendment to Representation of People Act. A writ petition by LOK PRAHARI, which had sought a declaration that the Representation of the People (Amendment and Validation) Act, 2013 is ultra vires and unconstitutional, got dismissed by a division bench comprising of the Chief Justice Dr D Y Chandrachud and Justice Rajan Roy. The Allahabad High Court has observed that the mental agony of being arrested and detention in a Section 498A IPC case filed by wife against husband resulting into loss of reputation and prestige in the society would amount to cruelty. Justice Pramod Kumar Srivastava made this observation in a second appeal against concurrent findings of the Court below which had dismissed the suit for divorce filed by the husband. After Delhi, Calcutta and Gujarat High Courts, now the Allahabad High Court has also stayed the levy of Service Tax from Senior Lawyers. On a petition by a Senior Lawyer practising in Allahabad High Court Mr. Shashi Nandan, the Division Bench comprising of Justices V K Shukla and U C Srivastava, has also asked the Centre and CBEC to file their counter-affidavits within four weeks and posted the matter for further hearing after six weeks. Full Bench of Bombay High Court has held that if the possession is taken before the Section 4(1)of the Land Acquisition Act is published and/or before the award is passed, the land­ owner would been titled for interest as per Section 34 necessarily from the date of passing of the award under Section 11 of the said Act, except in cases where the possession is taken in accordance with Section 17 of the said Act, and in that situation only, the provision of Section 34 of the said Act shall start operating from the date of possession. Expressing concern about the students and Institutions who waste their time in litigation in Courts, the Bombay High Court has directed the State Government and the Universities in the State of Maharashtra to evolve a mechanism by which the students at the beginning of the academic year are informed about the ineligibility of their admission and are prevented from unnecessary pursuing the course when not eligible. Bombay High Court has imposed costs of Rupees One Lakh on Reliance Infrastructure Limited for approaching it under Article 226 of the Constitution under the garb of violation of statutory and constitutional right, despite filing an appeal. Division Bench comprising of Justices G.S.Kulkarni and S.C.Dharmadhikari dismissing the petition filed by the company said that such tendencies of abusing the process of law are required to be taken a serious note. The Chhattisgarh High Court has held that a member of District Consumer Redressal Forum on completion of his/her tenure has no vested right for re-appointment. Justice Sanjay K. Agrawal dismissed a plea challenging appointment of someone else as a member of District Consumer Redressal Forum, Rajnandgaon claiming that the petitioner has vested right for re appointment to the post as she had been a member of the Forum. Delhi High Court, in an interim order, has restrained DPS World Foundation from using the registered mark/name “DPS” or any other mark identical or deceptively similar to the registered mark of the plaintiff Delhi Public School, amounting to infringement and passing off the plaintiff’s registered trademark till the disposal of this suit. Delhi High Court on Tuesday stayed the summons, warrants and resolutions passed by the Press Council of India against I& B Ministry Secretary Sunil Arora. Staying the proceedings, Justice Manmohan ordered notice to be issued to the Press Council of India. No compassion can be shown to a person who has no will to work, the Delhi High Court has observed while upholding a termination order against a clerk of District Court who was accused of absenting herself from duty frequently. Delhi High Court reproached National Law University Delhi (NLU-D) for its faulty PhD admission Procedure. Justice Rajiv Sahai Endlaw said that all does not appear to be well with the admission process of National Law University, Delhi at least qua admission to Ph.D. programme. The Court was considering a Writ Petition filed by one PhD Aspirant Amita Agarwal challenging the list of provisionally selected candidates for admission to University’s Doctor of Philosophy (Ph.D.) Programme 2012-13. Gujarat High Court has struck down de-reservation rule of Gujarat University and has held that the Rule which permits the University to treat reserved seats as unreserved seats only on the ground that such reserved candidates are not available from University, is arbitrary and illegal and in violation of Constitutional Mandate of Articles 14 and 15(4) of the Constitution of India. A single Judge of the Kerala High Court in Lonankutty Antony@ T.V.Antony v The Joint Registrar of Co operative Societies and others ruled that a banker cannot exercise a general lien over the property owned by the husband, for the liability incurred by the wife, in the absence of any express or implied consent thereto. Madras High Court has upheld the constitutionality of Section 94-A (1) of the Income Tax Act holding that it ‘was the need of the hour’. The Division Bench comprising of Justices V. Ramasubramanian and T. Mathivanan held that treaties cannot limit the power of Parliament to make Laws in that regard. Orissa High Court in a recent order it is held that if the Trial Court is of the opinion that the police officer while recording the statement of the child victim had deliberately flouted the provisions prescribed under Protection of Children from Sexual Offences Act, 2012 (POCSO), in appropriate cases the Court can recommend for initiation of departmental proceeding against such erring police officer. The Patna High Court in All India Students Federation vs. State of Bihar, has observed that lack of adequate attendance must not be read as exclusive circumstance for debarring a student from taking his examinations and only when it is coupled with other circumstances, showing a general derelict behaviour, may be proper reason for debarring. The Court also directed the Principal of Patna Women’s College and Vice Chancellor of Patna University to condone the attendance shortage of all those students, who have inadequate attendance to the extent of 60%. Read more at Tripura High Court has held that second marriage contracted by a Government servant without permission from the Government, even if it is permissible by personal law, amounts to misconduct. Division Bench comprising of Chief Justice Deepak Gupta and Justice S. Talapatra, however modified the punishment imposed on a BSF official to ‘compulsory retirement’ instead of dismissal from service, which was imposed by the authority. The High Court of Uttarakhand on Thursday set aside the Presidents Rule imposed in the State and ordered for a floor test, to be conducted on April 29. “In the present case…article 356 (imposition of President’s rule) has been imposed contrary to the law laid down by the apex court…The status quo of State government is restored …The government would go under go floor test on March 29,” the division Bench comprising Chief Justice K.M. Joseph and Justice V.K. Bist observed.